The benefits of calcium extend beyond strong bones. Heart, muscles, and nerves also need calcium to function optimally. Some studies even suggest that calcium, together with Vitamin D, protect the body against high blood pressure, diabetes, and cancer. 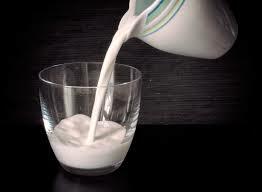 The recommended dietary allowance (RDA) of calcium for men up to age seventy is 1000 mg per day. For women, 1000 mg is recommended until the age of fifty. For men 71 and older, and women 51 and older, calcium requirements jump to 1200 mg per day. The best dietary sources of calcium are dairy products and dark leafy greens. But calcium alone is not enough; in order to metabolize calcium, the body needs Vitamin D. Vitamin D is found in egg yolks, canned salmon that contains bones, and from sun exposure. However, as awareness grows about the dangers of excessive sun exposure, and concern abut cholesterol curtails our consumption of egg yolks, vitamin D deficiency is becoming more common. Am I at Risk for Calcium Deficiency? ⦁ Have a high protein or high sodium diet. Both protein and sodium can prevent your body from absorbing calcium. But You Can Get Too Much of a Good Thing! Men and women under the age of fifty should not get more than 1000 mg of calcium per day. Over the age of fifty, that number increases to 1,200 mg per day. At Atlantic Coast Healthcare and Rehabilitation Center, in Lakewood, NJ, we know that one of the many ways to our residents’ hearts is through their stomachs. Our staff includes a master chef and a group of culinary experts who work with registered dietitians to prepare healthful, delicious meals, with the right amount of calcium. We even take care to serve our residents on fine china to ensure that our meals are as pleasing to the eye as they are tempting to the palate.